The Media & Marketing teams at Escape Campus provide invaluable communication of our brand and values to each of our clients and prospective clients alike. We are always looking to invest in the right people who want to develop, grow and learn alongside a business that sees value in its people. We have a multitude of position in this department ranging from marketing professionals, web developers, graphic designers and support staff who in turn support the organic and paid marketing campaigns of the wider business. 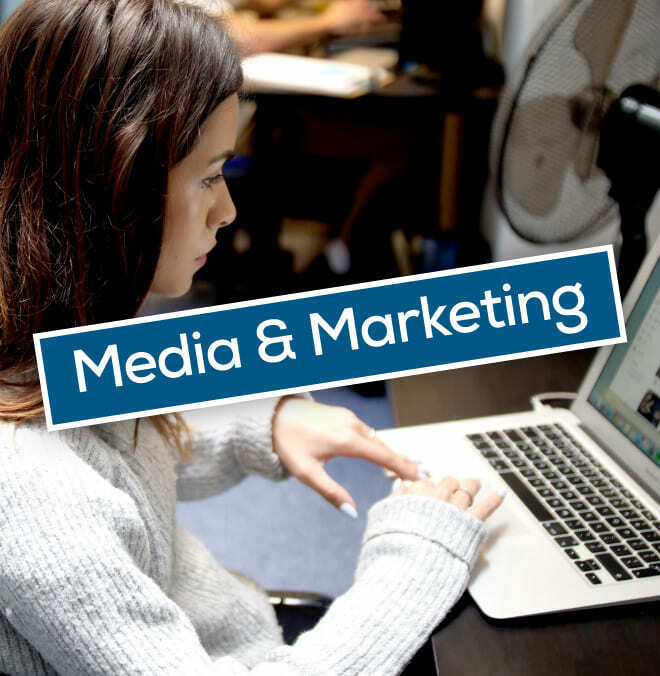 Each of our Media and Marketing roles require an understanding of the larger picture and a proactive mind to approach the development of our business and its marketing process. As a business we promise to never stop learning and supporting each of our staff’s learning and personal development . Depending on the varying levels of experience are necessary to join this team but we are always open to sourcing and considering less experienced candidates who may want to enter the world of a Marketeer at Escape Campus.